Gum disease can be a frightening prospect, but the reality is that up to 80% of the population has it in some form. 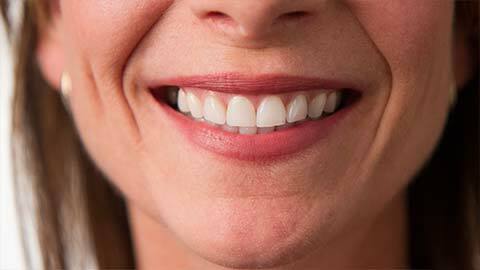 The mildest form, gingivitis, is the most common, but that doesn’t mean you should ignore it. Left untreated, gingivitis can progress quickly, leading to more serious periodontal issues and damage to your health. At Williamsburg Smiles, we take your gum health seriously. Gum disease is caused by untreated plaque and tartar which leads to inflammation in the gum tissues and the spread of harmful bacteria. That bacteria can do a lot of damage, infecting and deteriorating the gums and leading to pain, swelling, and even lost teeth. The good news is that gum disease is preventable, through keeping up your routine dental examinations and cleanings. But for those patients already dealing with the effects of periodontal disease, we’re ready to help you in your battle. Dr Contract offers non-invasive periodontic treatments to halt the progression of gum disease and keep healthy tissues in good shape. Thorough cleaning and education about at-home care can normally reverse early-stage gum disease, and topical antibiotic therapy assists in infections. For more advanced cases, other treatments may be needed. Our dental hygienists scale your teeth at every routine cleaning - it’s the process of scraping and cleaning off the plaque and tartar from your teeth. Periodontic scaling goes deeper than routine, by removing the built-up deposits from under the gumline. If the tartar and bacteria has spread to the root, it’s removed via root planing, cleaning of the roots of the tooth at the deepest level. Sometimes, a patient will lose a tooth to gum disease. We will always do everything we can to preserve a tooth, but if its condition will negatively affect the surrounding teeth and tissues, extraction is a better option. Extractions will always be done with the utmost of care and with regard for your oral health. When a tooth is lost or extracted, it leaves an empty socket in the gum and jawbone, the “alveolar ridge”. When left empty, the socket can cause a collapse in the ridge bone, resulting in a sunken look in the cheeks and lip and an inability to support restoration work. Ridge/socket preservation fills that empty socket and stops the bone from shrinking or collapsing. In addition to preserving appearance, the technique also retains the original bone structure so that restoration, such as dental implants or bridges, can succeed. This procedure reshapes the gum tissue, on either a single tooth or several. This can sometimes be done as a cosmetic procedure, such as to fix a “gummy smile”, or to prepare for a further procedure. By removing and shaping excess gum tissue, Dr Contract can improve gum health, prepare the mouth for restoration work, or fix a cosmetic issue. Gum disease doesn’t just affect your oral health. The bacteria from periodontal disease has been linked to osteoporosis, dementia, low birth weight, heart disease, stroke, and complications from diabetes. We want you to have a healthy smile - and body! - for a lifetime. So if you’re experiencing any worrying symptoms, such as gum tenderness, bleeding during brushing, or loose teeth, be certain to ask Dr Contract at your next visit. Let us help you, and your gums, be their healthiest and best! If you need more information about Periodontics in Williamsburg, contact us today.